Williamsburg, Virginia, along with Jamestown and Yorktown, is a region of many significant historical sites and interesting activities. This area is well set up with its colonial towns, battlefields and historic campuses. With all of the things to explore and learn, many of these places allow leashed dogs to accompany their owners. There are also a couple of lovely parks in the area and some dining options that are pet-friendly. 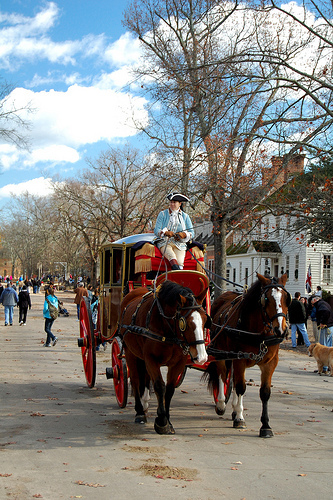 Colonial Williamsburg is a representation of how life was in the area, prior to the signing of the Declaration of Independence. Though dogs are not allowed in the buildings, they are allowed to roam around outdoors if they are leashed. There is a great deal to do and see in the outdoor area, with its historical buildings, gardens and performing actors. This school is the second oldest college in the United States, and leashed dogs are welcome to come explore the beautiful, historic campus. The Yorktown Battlefield is a historic park in Yorktown, Virginia, where the British surrendered to the Americans in 1781, securing the Americans’ independence. The park today has several historic monuments and markers, along with some reenactments. Leashed dogs may be in most of the outdoor areas of this historic site. Located in modern-day Jamestown, Virginia, this historic area hosts the birthplace where successful English colonization took place in North America. Along with historical reenactments and tours, it is also a place to check out the local nature and wildlife. Leashed dogs are welcome in most outdoor areas of this place. Quarterpath Park is 23 acres in size, and it has picnic areas, playground equipment and various sports fields. Leashed dogs may be in the outdoor areas of this park. 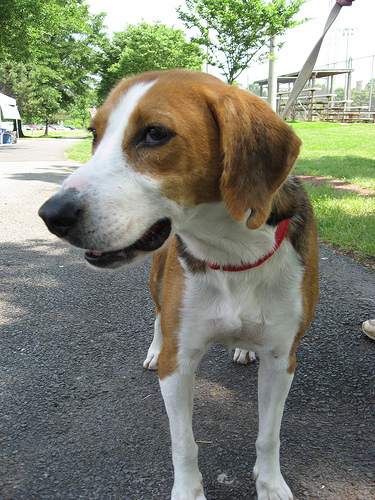 Water Mill Park has great spaces for hiking or picnicking, and leashed dogs may join their owners at this park. Aroma’s is a specialty coffee shop and gourmet bakery that sometimes has music. Leashed dogs are allowed at the outside tables. Pierce’s Pitt Bar-B-Que is full of various meat dishes, as well as salads, desserts and children’s food. Dogs may sit at the outdoor tables.